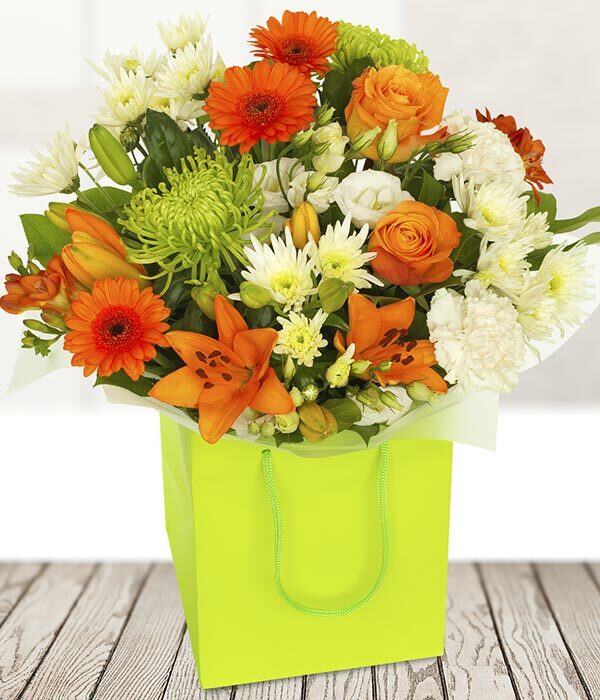 A dazzling vibrant arrangement suitable for all occasions. 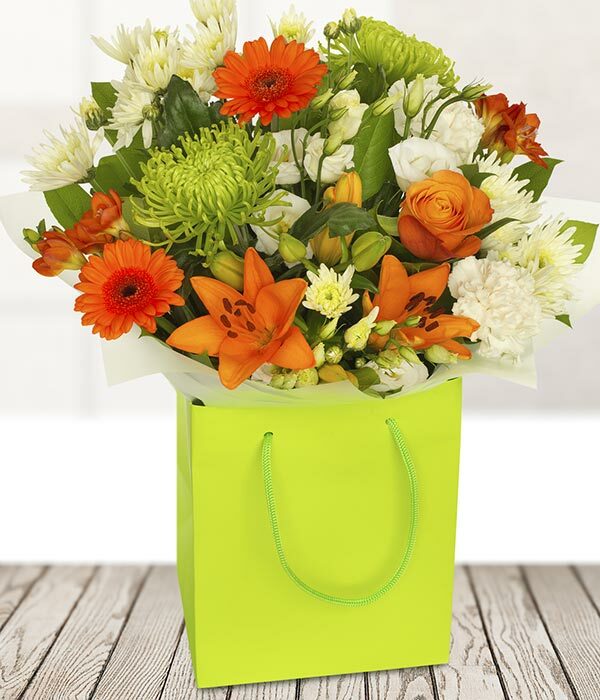 Stunning Orange roses and gerberas are perfectly accompanied by vibrant lilies and chrysanthemums. 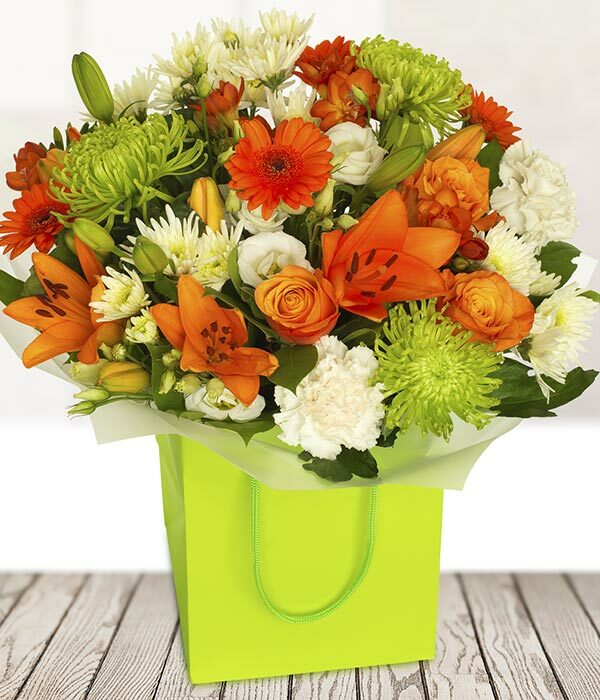 The bouquet is crafted by a local florist in the area and delivered straight to the recipient’s door.